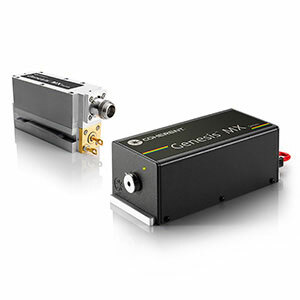 The Genesis MX-Series Family of high power CW lasers for life sciences and research, medical and interferometric applications, with wavelengths ranging from 460 nm to 1154 nm. 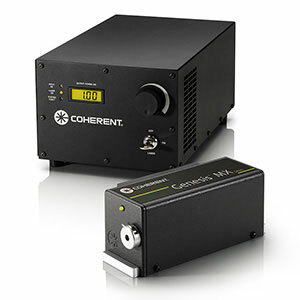 Genesis MX-Series lasers are available in 3 different platforms, each unique for varying applications. The Genesis MX STM-Series (TEM00) is intended for life sciences and research application, and is available at several wavelengths from 460 nm to 639 nm, with up to 1W of output power. The Genesis MX MTM-Series, intended for medical and defense applications, has high beam quality and is available at wavelengths ranging from 460 nm to 1154 nm with up to 10W of output power. 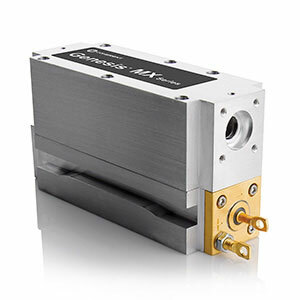 The Genesis MX SLM-Series (TEM00) is intended for single frequency, interferometric applications, and is available at wavelengths ranging from 460 nm to 577 nm with up to 1W of output power. Genesis MX-Series is the ideal solution for applications that benefit from multimode characteristics for medical applications and single transverse mode for life sciences applications. The Genesis MX-Series OEM version is a head-only configuration that requires further integration, while the end user system comes complete with a laser head and a front panel interface on the power supply. All three platforms are configured for either the OEM or end user. The MX OEM head is a component and comes with an optional temperature controller and/or power supply. Additional accessories include air or water-cooling, collimator, or shutter. Fiber coupling is available with the MX MTM OEM head only. The MX end user system is turn-key, CDRH and CE compliant, and comes complete with a front-panel power supply interface. 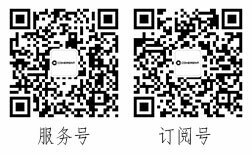 Software is also included to interface with the OEM’s software or comes stand alone with our graphical user interface.